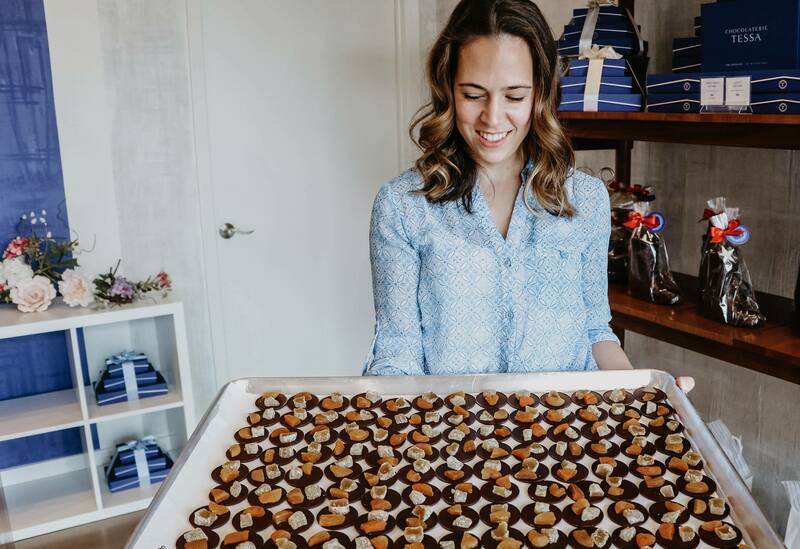 Growing up in the family business of chocolate, Tessa Halstead was able to get a firsthand look at entrepreneurship. 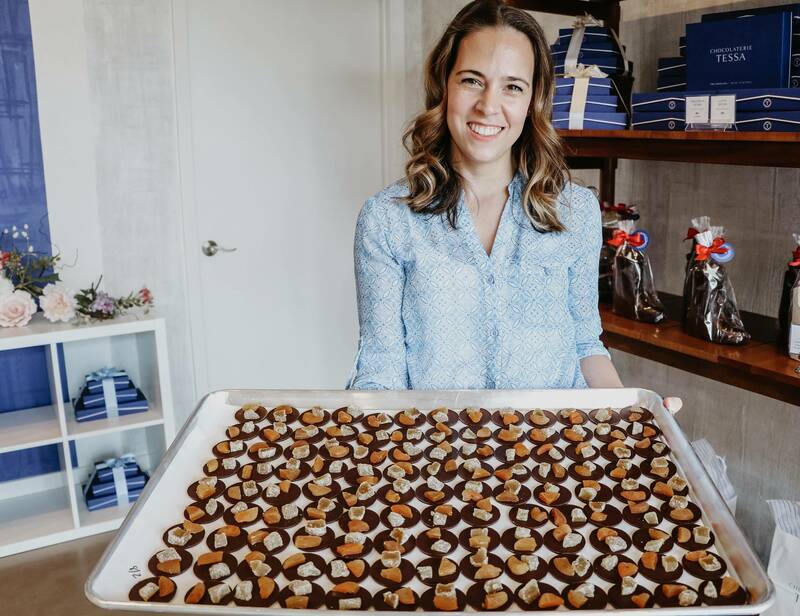 But it wasn’t until she started her own business, Chocolaterie Tessa, that she truly understood the value and meaning that comes along with being a business owner. Below, she shares why she decided to pursue the family business, what a typical day looks like for her, and her best advice for aspiring entrepreneurs. Tell us about your background. 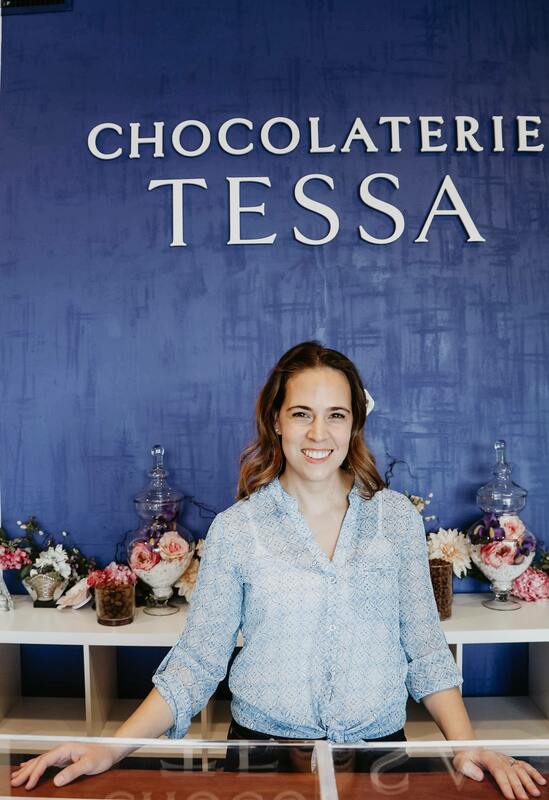 What were you doing before opening Chocolaterie Tessa, and what led you to start the business? My story is a little funny because I grew up in the same kind of business that I run now, but it’s not my original family business. When I was in college, my Dad wanted to retire so he offered me the opportunity to take over his chocolate company. At the time, I wasn’t keen on the idea of returning to my hometown to run his business so I turned it down and took a job in Finance. I learned a ton in that field, but it was an incredibly demanding job with pretty little regard for your personal time. After a few years of that, my husband and I moved to Argentina to work in food and wine. The lifestyle in Argentina is wonderful, a complete 180 from what I had been doing previously, but I knew I would never be able to start my own business there as a foreigner. After working in two opposite industries, I knew that I wanted to run my own business and I had the time and space to miss my family business from growing up. Seven years after I had been offered the chocolate business previously, I returned to Texas to start my own version! What were some of the first steps you took to get started? The very first thing I did was recruit my Dad to help me write my business plan. I had worked for my Dad since I was 14 years old, so I knew a lot about the chocolate business, but I really needed help to think about the seasonality of our business, cash flows, how much staff we would need, what equipment we would need and what product lines we could make with that equipment, etc. Having a mentor to ask all of the tiny detail questions was crucial. Because the chocolate business runs in your family, was entrepreneurship something you knew you wanted to pursue? When I started applying to colleges and thinking about a career, I knew that being in business was my path. However, growing up in a family business made me more aware of certain very specific demands (for instance, our family never traveled during the holidays), so at that time I thought a career in the corporate world would give me more freedom. Needless to say, I recognized the benefits of small business fairly quickly after that! How many cool people I have met along the way. One of my greatest joys as a business owner is the relationship aspect. Even though my staff is small, we are engaged with so many people every day. Customers, neighbors, and other chocolatiers and food industry professionals are just a few examples of the great people who have helped me along the way. Sometimes it’s someone to validate your feelings, good or bad! Or a repairman who helps you out at a crucial moment or just having a great conversation with another food artisan who shares your values and reminds you why you do what you do. Austin is a great place for finding good people. I once heard another business owner share a piece of advice he had gotten before he started his butcher shop: “If you truly love to cut hair, don’t open your own salon.” What he meant by that was as soon as you are the owner, the time you are able to spend doing that thing you love may be dramatically reduced. I would say this is very true for me, and I don’t spend nearly as much time in the kitchen as I once did. Right now, I am working on opening a second store at the Domain Northside, so that has taken me back-and-forth between locations quite a lot. I am a procrastinator by nature, so having new projects to work on with big deadlines is motivating to me. Plus, I get to learn new things, meet new people and use different parts of my brain all the time! Variety is one of the things I enjoy most about being a business owner. As a food artisan, where do you go for inspiration? What fuels your creativity? My husband and I love to travel, so most of my inspiration comes from different stores wherever we go. 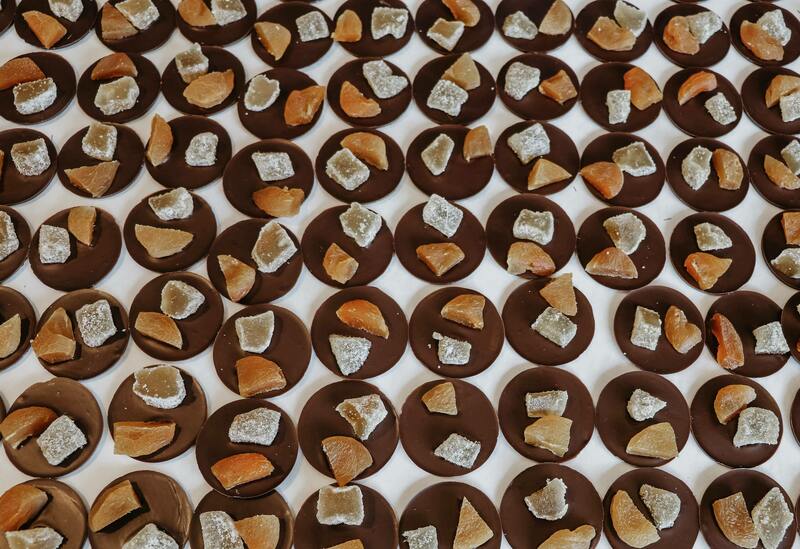 For the last few years, we have explored France, Belgium and Germany and gotten to taste chocolates from those places as well as explore their design shops. There is so much to take in regarding presentation: packaging, display, function, colors…I always come back with new ideas. The Crestview neighborhood has been so supportive of our business, and I am so grateful to them for coming to try us out and coming back occasion after occasion. I have seen babies born, weddings, new homes, new jobs and everything in between. I love that I see many of our customers often enough to know what is going on in their lives. Several of my customers even brought me baby gifts when my son was born which was so touching. It makes you feel good to be a happy part of people’s lives. I just read The Happiness Project and Thrive, two books on personal happiness and how to live your best life. Thrive focused a lot on somewhat counterintuitive productivity techniques like spending more time away from work and getting enough rest (which so many of us don’t do). The Happiness Project, which was my favorite of the two, took a deep dive into exploring your own true needs to find fulfillment. Both books prompted me to evaluate the ways in which I spend my time which prompted me to make some changes in my life, which has brought me more happiness and productivity overall. Dinner parties at home with good friends. I wish I could say something like “do your research” or “follow your heart” but the truth is, it’s impossible to know beforehand what circumstances will guide you on your path. So, I guess I would say, if you can truly imagine failure and you’re okay with what that looks like, then go for it. Sadly, the data shows that most businesses fail and if you think you could accept that for yourself and find new meaning in something else later on, then you probably have the right character to do it and be happy. 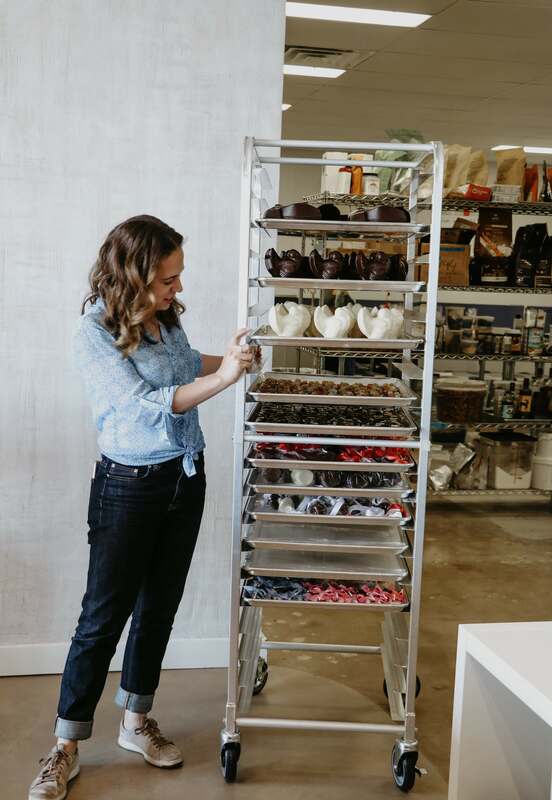 Visit Chocolaterie Tessa at her Crestview factory and shop at 7425 Burnet Road or at the pop-up shop coming soon to the Domain Northside. You can also find Chocolaterie Tessa online or on Instagram.